Many years later, I was to learn that we have no survivors in our family…because no one survived. Our best estimate is that some 300 members of my father’s family died during the Holocaust. My mother’s grandmother and grandfather had moved to the United States, where my grandmother was born; my grandfather came to the US in the 1920s with a mission to work and save money so he could bring his mother and sisters to America. The Nazis came to power, invaded Poland and murdered them before my grandfather was able to save them. My first real close-up encounter came with my marriage to the son of Holocaust survivors. My mother-in-law and one sister and one brother came out of the concentration camps…but in a very real sense, the concentration camps and their experiences there never left them. They lost two brothers, a young sister, their parents and grandparents, uncles and aunts and cousins. My father-in-law came out of the Holocaust with one sister, and four brothers. They had lost two brothers, their parents, grandparents, aunts and uncles and cousins. My husband’s parents died over 20 years ago. My mother-in-law’s brother and sister died after she left us. My father-in-law lost one brother before he died; two others have died since. Only one remains. He was the youngest brother…captured by the Nazis, he almost certainly would have died if his oldest brother had not climbed into the building to save him. Yehoshua paid for that bravery with his life,but his younger brother lived…lived and married, lived and brought children into this world, lived and has grandchildren today. When my youngest son was nine years old, he asked me a question, as small children are apt to do. He asked if the tattoo that he’d heard about would fade away…as I answered him, I realized that the number that the Germans tattooed on the arm of my husband’s uncle was a symbol of so much more than the insult and hatred that inspired that inhumane and barbaric act. Similarly, the question that my beautiful and innocent Israeli-born child had asked me as I drove him to school on the morning of Holocaust Remembrance Day over a decade ago is a symbol of so much more than the mere words of a child. The tattoo represents the collective agony of more than six million Jews, and it represents the ongoing agony of a generation of Jews born on a continent where they did not belong, where they or their loved ones were hated enough to be hunted, imprisoned, beaten, starved, gassed, shot, cremated. And his question – will it ever fade away – the tattoo and the memory of all it represents – this too is so much more than the thoughts of a nine-year old child. It represents a challenge to all of us. In our family, we have only one survivor left…the Holocaust is a memory, a reality, a burden that he will carry for all the days of his life (may he live in health until 120). But it is also a memory, a reality and a burden that we must carry with us. The tattoo must never fade from our hearts; it was planted there, burned there, by the Nazis. But they would have erased the tattoo with the last Jew; and we have outlived them and the day will never come that the Nazis will see the last Jew. 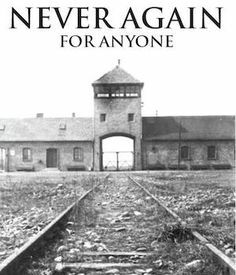 But as Amalek wounded us, as Haman attempted to hurt us, as the Cossacks and the Inquisition and the Crusades left their mark, so too the Holocaust will be with us forever. No, the tattoo of two thousand years in exile will never leave us and we will never forget the stench of death, the terror and the murder of six million. 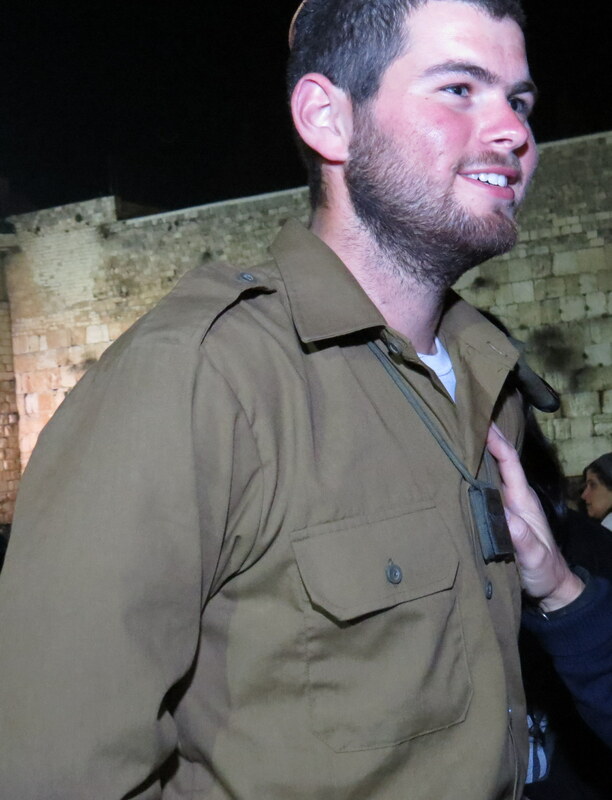 But that boy who was once nine…is now twenty and tonight he is out there somewhere, dressed in a uniform of the Israel Defense Forces, carrying a rifle that they have entrusted to his care. He is named after my father-in-law, David Levi. He carries the name of a grandfather he never had the honor of meeting. He honors that name with pride and with conviction. His oldest brother carries the name of one of my mother-in-law’s brothers; my second son carries the name of one of my father-in-law’s brothers. Two years ago, when my granddaughter was born, she was given two names. One is Gavriella…named after the youngest of our murdered relatives. 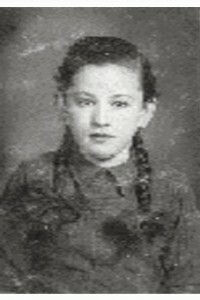 Gavriella was only 12 when the Nazis murdered her. Into the generations to come, we have planted the names of those no longer with us. The names survive. The memories survive and most important of all, is the determination that though the tattoo will never fade away, we will become more than what they dreamed we would be. In the ghettos of Europe, in the darkest nights in the concentration camps, they dreamed and prayed that they and their children and grandchildren would be free. We have made that dream a reality, and so much more. We are free. Free to thrive in our own land and tonight, my youngest son stands guard over a land that would have saved them all but instead is given the challenge to do all it can so that Jews, all Jews, will never know the agonies they suffered. May the memories of six million Jews including over one million Jewish children, be blessed and may our sons and daughters who stand this day and night defending our country be blessed with life.